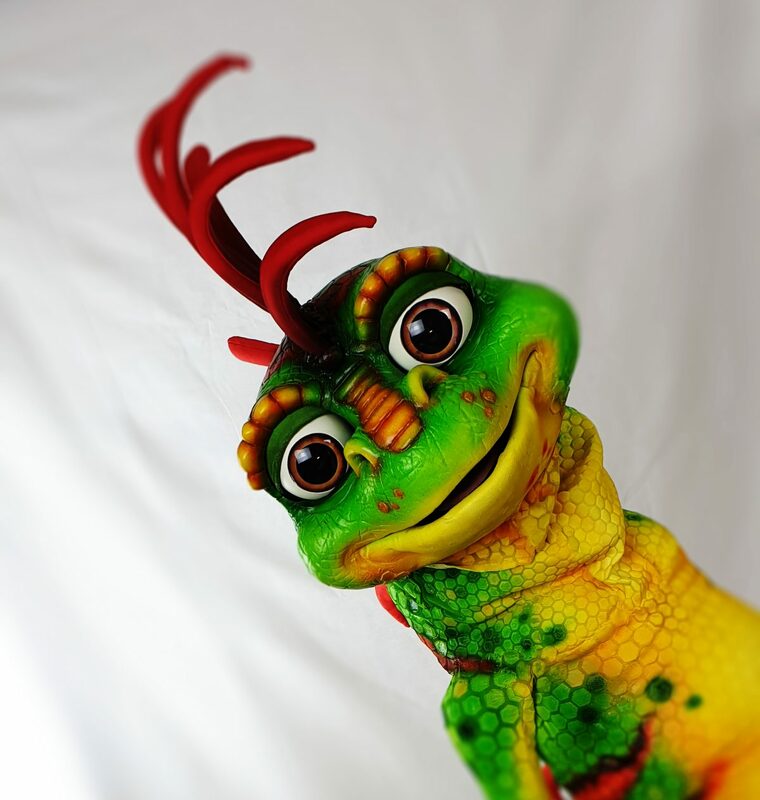 This is an Iguana Puppet for the Maho Group. I have been very lucky to be the character designer and puppet builder for a new family resort – Opening in March 2019. I was tasked to design a range of characters for their new show and walkabout performances called The Beach House Crew. the resort is in St Maartens and is run by The Maho Group. 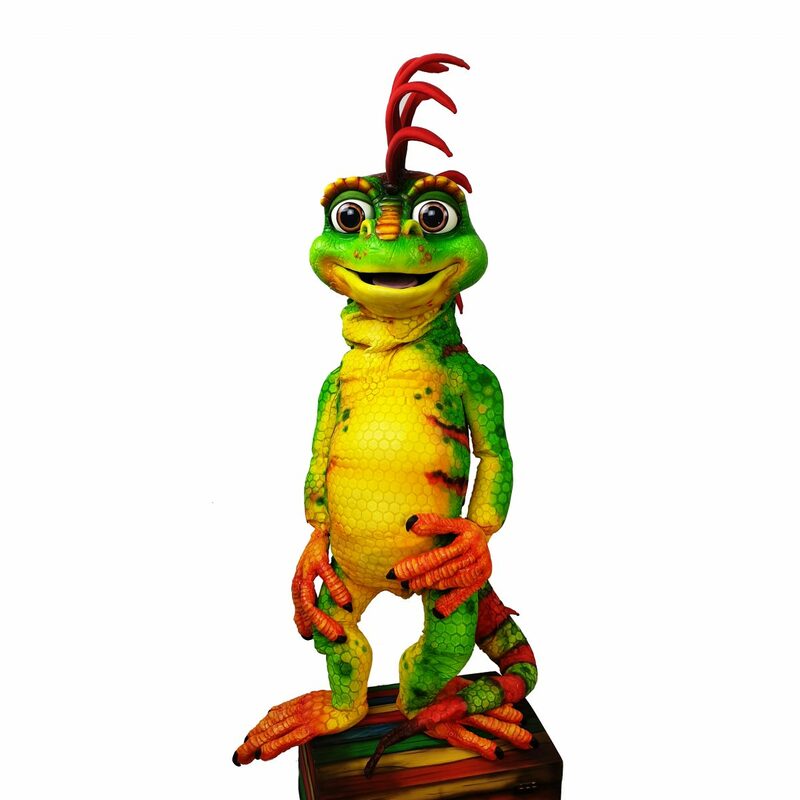 This iguana puppet character is called Iggy – a young Iguana – a very common lizard on the island, and very popular with tourists. He is about 3 foot tall and features blinking eyes and a very squishy malleable body. He is built from foams, a specially developed lycra fabric, and fiberglass. considerations had to be heat and weather as they will walkabout the resort, size and weight – big enough to be seen from afar whilst also being manageable by one performer, and very resilient as they will be used all day every day for year to come.